T-Series, one of the largest and most popular music label of India, yet again has added another successful feather to its cap of achievements. T-Series has crossed an overwhelming one million subscriber base for their official YouTube channel www.youtube.com/tseries. 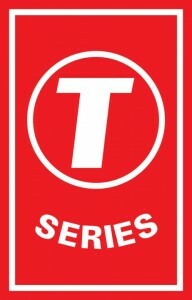 T-Series has become the first Indian entertainment entity to cross this coveted one million subscriber base mark on YouTube in a short span of less than 2 years with over 730 million channel views. Started in April 2011, the channel overtook other entertainment YouTube channels in 2012 and crossed the one million subscribers mark in first week of February 2013. T-Series official YouTube channel offers a wide choice of content to its discerning fans ranging from Bollywood song videos, Audio juke boxes, trailers, behind the scenes , making of films / songs / videos etc and has been consistently building up a strong community on social networks like G+, facebook and twitter etc. Apart from mainstream Bollywood Channel, T-Series also have many sub-channels on YouTube like Apna Punjab for Punjabi Pop, Hamaar Bhojpuri for Bhojpuri content, Bhakti Sagar for spiritual music, Pop Chartbusters for Indipop videos, Shabad for Punjabi Devotional content, Old is Gold for Bollywood Classics from the 1980’s and 1990’s and Regional Music Channel. Commenting on the milestone achieved, Anthony Zameczkowski, Head of Music Partnerships, YT APAC, said, “We are delighted to partner with T-Series to bring millions of Bollywood lovers content through YouTube. This association has helped T-Series to achieve a huge milestone and we would like to congratulate the whole team. The partnership will ensure that we continue to offer our users all the content they love and enjoy the most on YouTube. With the growing popularity for Bollywood content offered online, YouTube has been successfully leading innovative initiatives and associations to capture audience interest with exciting and entertaining content”. 15 queries in 0.564 seconds.